A little bit of info about polymer clay. 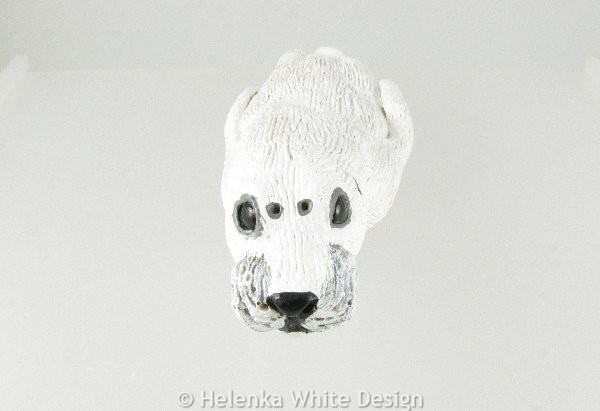 Polymer clay seal painted with acrylic paints. I discovered polymer clay a few years ago and love working with this incredibly versatile medium. You can design sculptures and jewellery with it, imitate semi-precious beads and use various amazing techniques to create lovely textures and beautiful colours. The possibilities of working with polymer clay are endless. The first polymer clay was developed in the late 1930s by German doll maker Fifi Rehbinder who couldn’t find supplies during WW2. She called her plastic “Fifi Mosaik” and used this for sculpting her doll heads. In 1964 she sold her formula to Eberhard Faber (Staedtler) who tweaked it into the FIMO we can now buy in toy and craft supply shops. FIMO made it to America in the 1970s, but American companies also developed their own versions. In the 1960s the American Zenith Products Company (parent company of Polyform Products Company which produces the clay) accidentally developed their own polymer clay called “Polyform”– the original version of what is now sold as Sculpey. While white clay was available from 1967, it took until 1984 before its present-day line of colours and ranges were available. In the 1990s another American company, AMACO developed Friendly Clay and in the mid-90s Premo was developed by Polyform. In 2001 the polymer clay artist Donna Kato created Kato Clay in collaboration with the manufacturer Van Aken. Today there are many brands of polymer clay to choose from along with speciality clays. 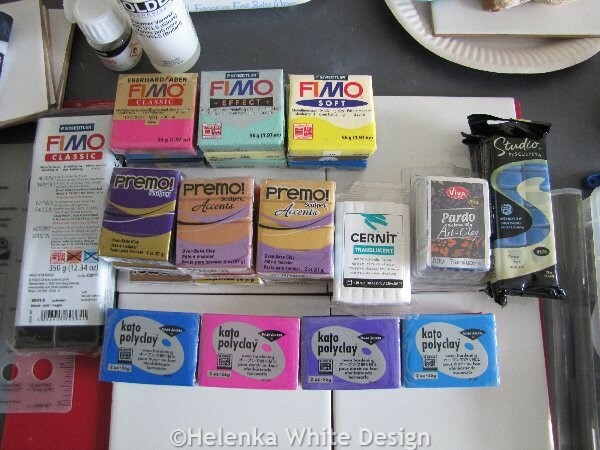 Various brands of polymer clay. Working with polymer clay takes time. The clay needs to be well conditioned before you can use it. And for this I use a pasta machine. Creating complicated canes can take hours. 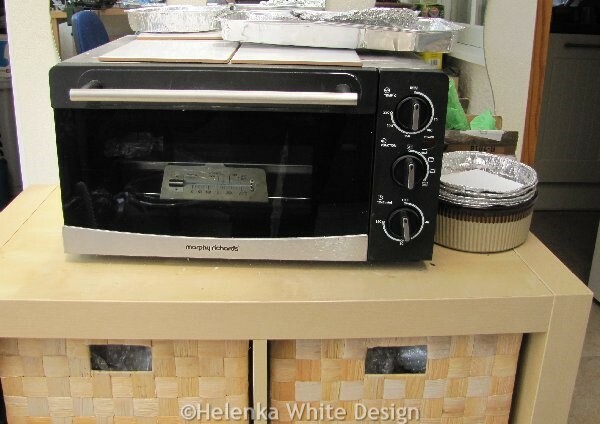 Each item I create is cured in my designated toaster oven at fairly low temperatures. Depending on the item, it needs to go into the oven several times. After curing and cooling I either varnish the items or sand and polish them – depending on the surface treatment. Polymer clay jewellery is completely hand-crafted and every item is therefore unique. Please note that polymer clay items can break when they hit hard surfaces – especially more fragile designs such as the dolphins. My jewellery designs range from animals to patterns. Polymer clay is also a fantastic medium for making small (or even big – if you have a big oven) sculptures. I am currently working on animal sculpts and am hoping to include these soonish on the website.